Four members of the Boca U23 team that captured back-to-back MSSL Cup Championships in 2009 and 2010 were honored by Kutztown University on April 26. Chelsea Deeter, Kelly Bushe, Jen Pyne and Jen Tice received the recognition from Erik Burstein, the current the KU head women’s coach and a former Jersey Shore Boca club standout, who finished his fourth year at the helm of the Golden Bears program in 2010. KUTZTOWN, PA (May 6, 2011) – Four members of the Jersey Shore Boca U23 women’s team who captured back-to-back MSSL Cup Championships during 2009 and 2010, were honored by Kutztown University at the Golden Bears All-Sport Banquet on April 26 in Kutztown. Chelsea Deeter (Langhorne) was named the women’s soccer most valuable player for last season while Kelly Bushe (Neptune City) earned the 2010 distinguished coaches’ award. Jen Pyne (Wall Township) and Jen Tice (Barnegat) were also honored as outstanding seniors who substantially contributed to the Kutztown women’s soccer program over the last four years. 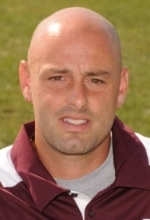 The awards were presented by Erik Burstein, the current the Kutztown University head women’s soccer coach and former Jersey Shore Boca club standout, who finished his fourth year at the helm of the Golden Bears program in 2010. With the four Boca standouts, Deeter, Bushe, Pyne and Tice leading the way behind one of the foremost teachers of the game in Burstein, the Kutztown women’s soccer program reached unprecedented heights over the past several years. The Golden Bears were nationally-ranked for 18 straight weeks, participated in a PSAC title game and qualified for the NCAA Division II Atlantic Regional tournament in two consecutive seasons. In addition, the Boca four helped Kutztown set a program record for wins (15) and shutouts (13) in 2009. Deeter helped Kutztown enjoy its best four-year run in program history. A four-time All-PSAC East first team; and three-time Daktronics Atlantic Region selection, she was the first women’s soccer player in school history to earn All-American honors. During her outstanding career, the Langhorne native led the way on defense, as she helped Kutztown record 37 career shutouts. After the 2010 season, Deeter was named to the Daktronics All-American team, NSCAA All-American third team and NSCAA All-Region selection. Deeter was also named first team All-PSAC and was honored as the Lehigh Valley Association of Intercollegiate Women’s Athletics women’s soccer player of the year. An all-around strong student, Bushe anchored a defensive unit that recorded 11 shutouts this season. She was named to the Dean’s List and the ADA All-Academic Team. She started every game during the 2010 season and anchored a defensive unit that helped Kutztown record 11 shutouts. Kutztown finished the season ranked No. 24 in the final regular season National Soccer Coaches Association of America (NSCAA) Top 25 poll. Pyne played in 20 games and started 14 during 2010. She had three goals, including two- game winning goals against Concord on Sept.3 and Edinboro on Oct. 16. Pyne also had two assists against Concord on Sept.3 and against Shippensburg on Oct. 1. She finished with eight points. Tice did not perform on the pitch during the 2010 season because of a leg injury. However, serving in the role of student assistant coach, Tice played a key role for the Golden Bears on the sidelines during 2010 serving as a mentor to the younger Kutztown players. Deeter, Bushe, Pyne and Tice helped the Boca U23 women’s team to a place in the club record books when they captured their second consecutive MSSL Cup championship this past summer. The club is celebrating their 33-year anniversary in 2011.